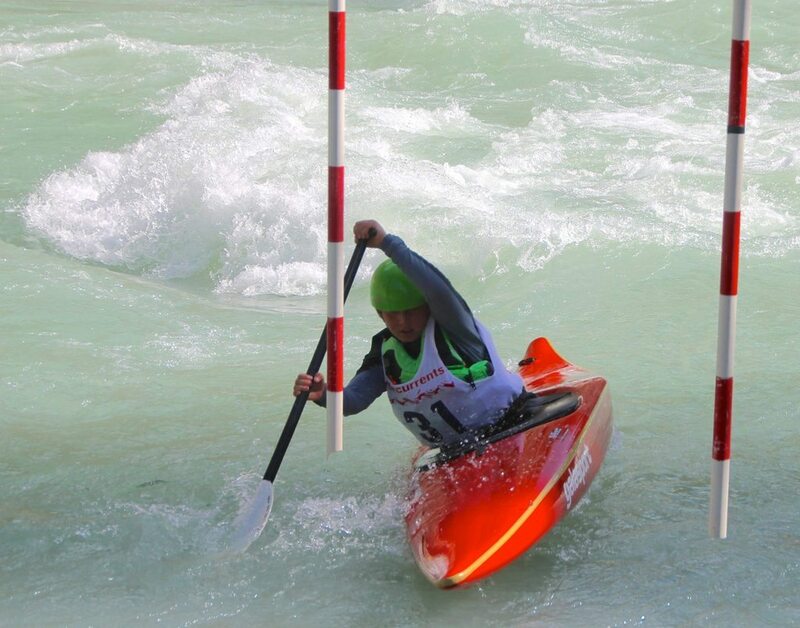 This weekend was the successful culmination of a busy summer of kayaking. 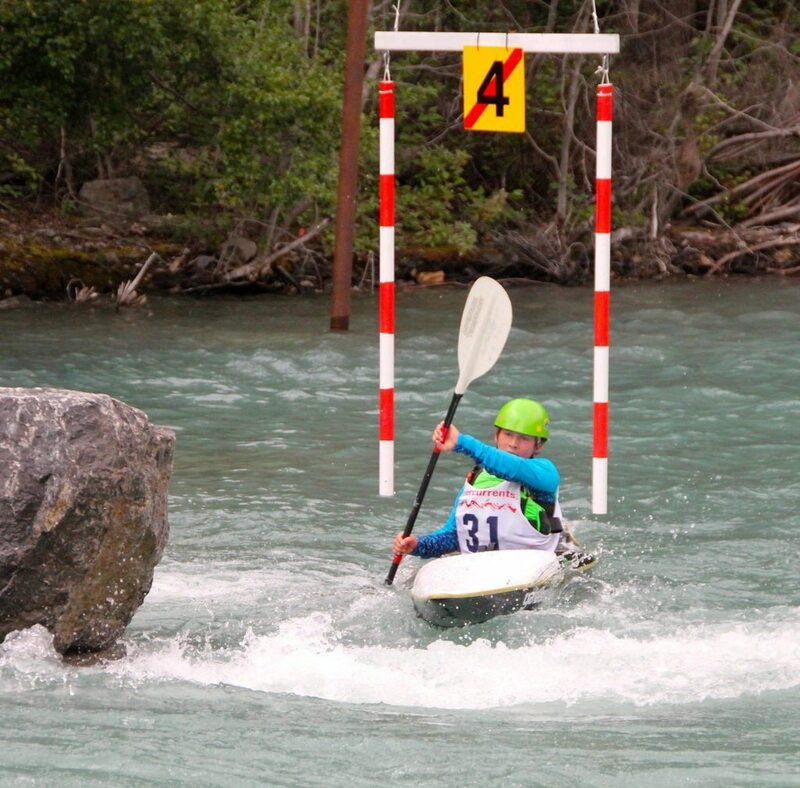 We participated in the Alberta Provincial Whitewater Canoe/Kayak Championships at Canoe Meadows on the Kananaskis River and were one of two Yukon athletes in attendance. 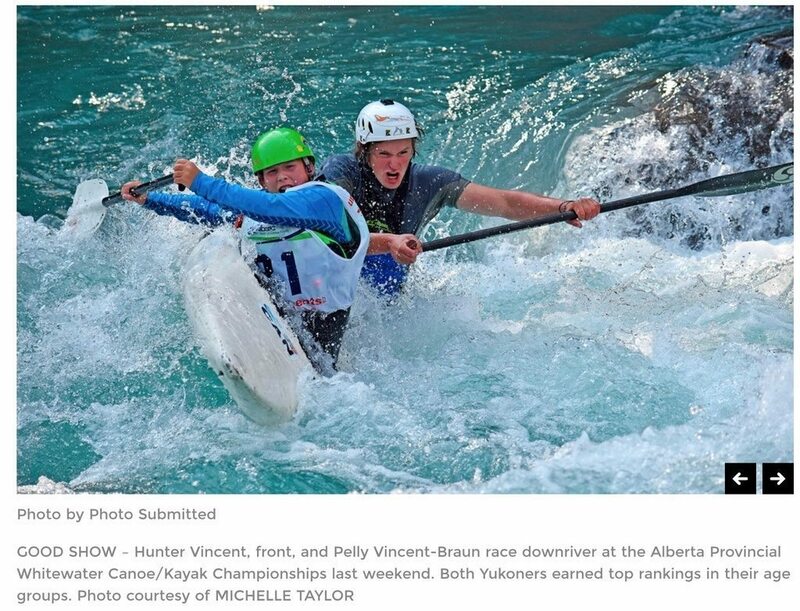 We have spent close to a month training with the kids from the Alberta Slalom Canoe Kayak team this summer, through various camps and races from early July to late August, and it has been an amazing experience. 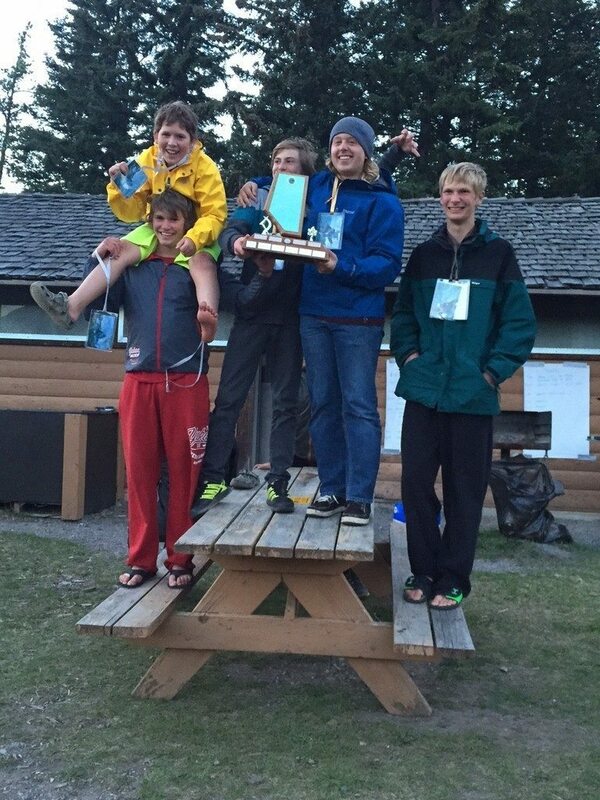 Full thanks go to coaches Mike, Paul, AJ & Kyle for making training and competing achievable and relatively fun. They were great cheerleaders and stepped in when Hunter had no interest in listening to Tim or I. The weekend was full of various races and Hunter made the most of the opportunity to participate in multiple events. 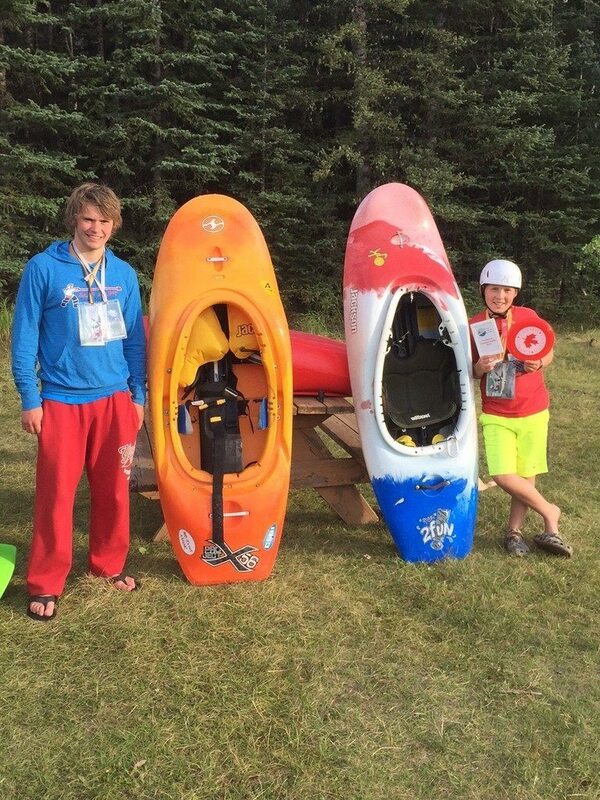 Hunter was also joined by Pelly Vincent-Braun, another Yukon paddler, for the event. After two and a half days of events, the boys finished as the top competitors in terms of total points in their respective categories. 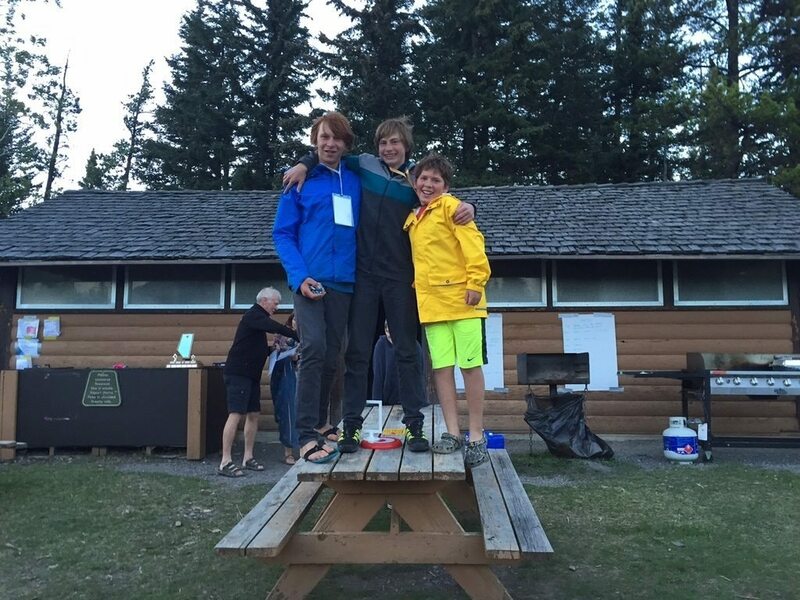 Pelly was the top Junior paddler and Hunter was the top Cadet paddler. Points were awarded based on results in each event that took place and then tallied at the end. We were really proud of the boys – they sat in a C2 together for the first time about 10 minutes before their first race. 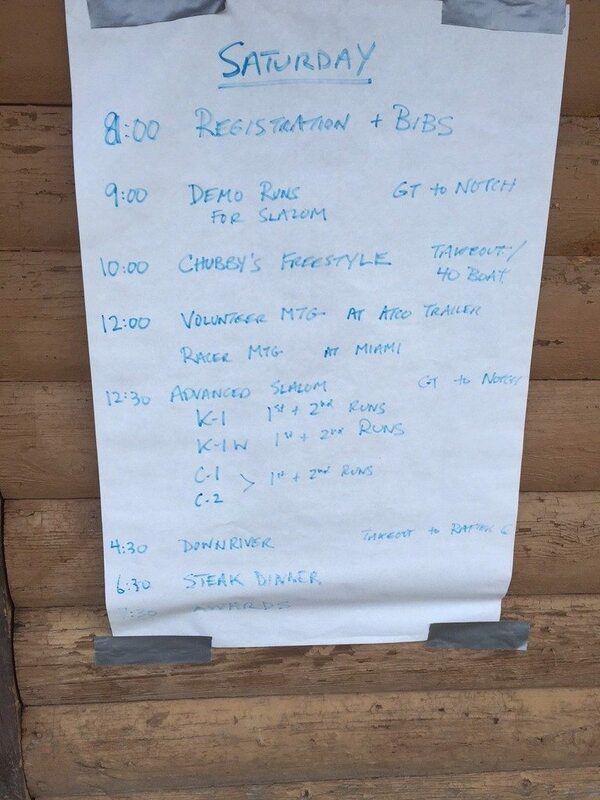 Pelly’s power and Hunter’s water awareness enabled them to pull of a strong race in the Advanced event (see photo at the top) and a silver medal. Day two was an even stronger result as they got the hang of it together. 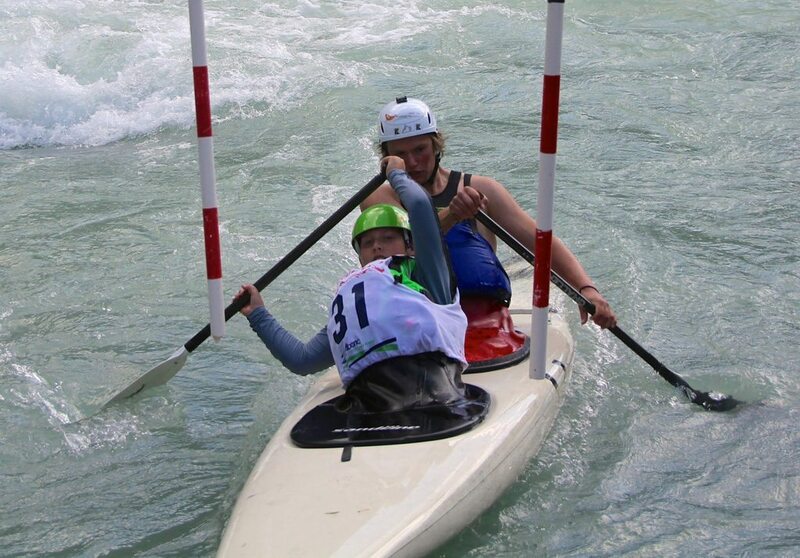 Hunter has come away passionate about C1 paddling – his novice Gold was his first ever clean slalom race, which was exciting in itself! 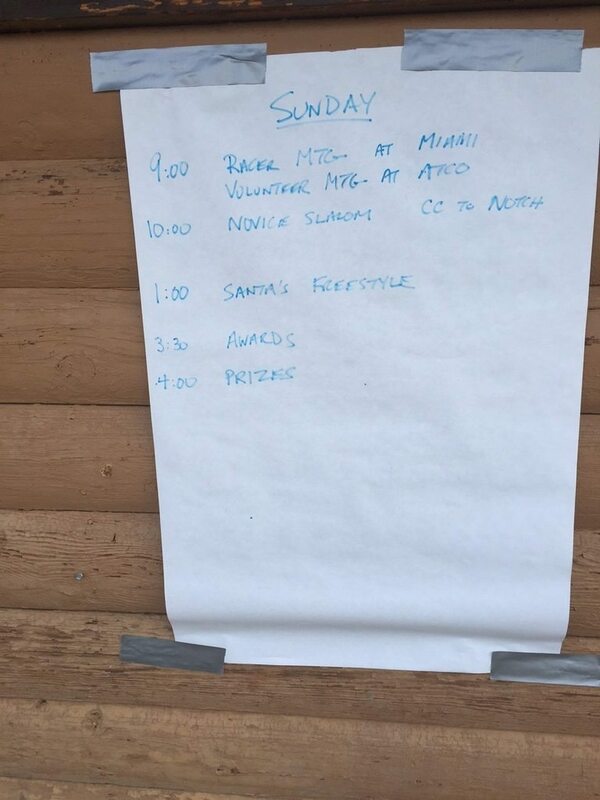 Looks like Hunter had a great time. His balance is certainly impressive. Congratulations Hunter you did a great job. love grandpa. 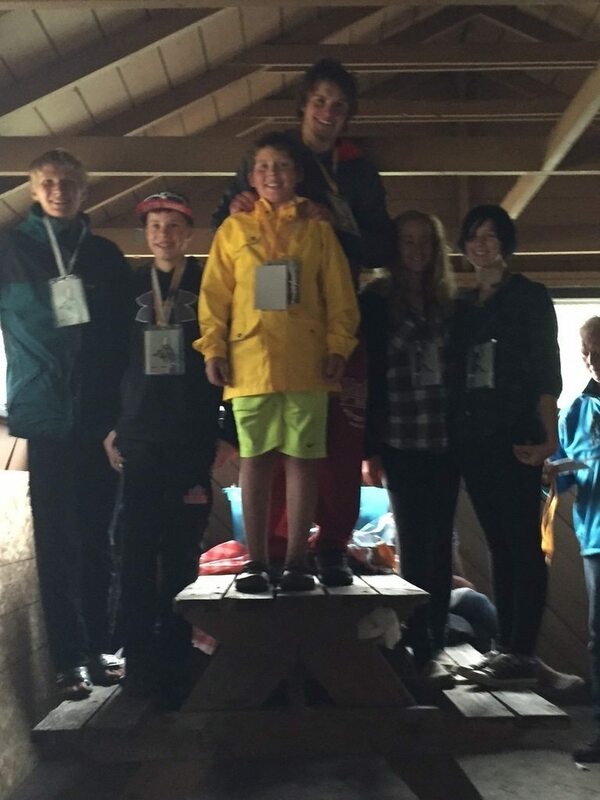 WOW, you will need to add on to the trailer for all of Hunter’s medals now………..Congratulations Hunter, way to go, is this partly because of your kayak????? Can’t wait to see you in November???? ?